This was Church of the Rock’s first ministry team to Bonao, Dominican Republic. It consisted of four women, each uniquely gifted to minister in different ways. As this was the first team, there were a lot of flexibility in the schedule. 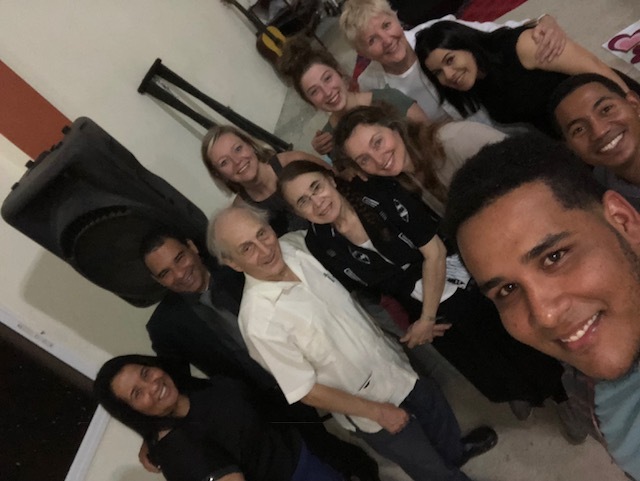 Dr. Rosa – who was born in the Bonao region and attends Church of the Rock – was instrumental in putting all the pieces together for the trip, and many thanks go to her for the effort and wisdom displayed on this trip. The team’s first stop on Friday was a local hospital where they visited patients with Dr. Eddy and prayed for many of the patients. In the hospital, there was a large family gathered in a room. The team did not want to intrude, so someone suggested even though they could not enter the room, they could still pray for her. At first, they prayed that whatever was causing her pain would vanish but the screaming kept on. As the ladies continued to pray they started praying that if this was being caused by a demon or evil spirit that it would leave immediately. As they did this, the screaming stopped and the room was peaceful. God is so good! The team connected with two different churches. At these churches, they ministered to the local congregations and communities. Many strong connections with fellow believers were made. The team had the opportunity to lead a children’s Bible lesson in two different villages. During these times, over 30 children responded to accepting Jesus. Praise the Lord! The songs and game time were so much fun. 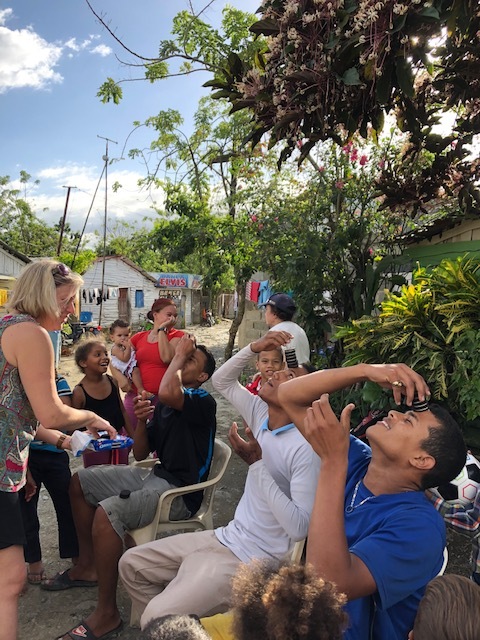 The team members and children connected through joy and laughter and working together to accomplish fun tasks and doing crafts. At one specific place, some of the older teen boys were hanging around and watching. One team member picked up a ball and threw it to them. They threw it back. From that point on, they were part of the group. Not only did the teens get involved, but the parents watched and laughed from the sides of the road. Praise the Lord for a successful trip! For more information on this trip or other trips, please contact andrew@churchoftherock.ca or visit our Missions Trip App, where all upcoming trips are listed.